I first created a folder for PR emails about CBD products about a year ago (when I started working on this story for Beauty in the Bag). There wasn’t much activity in terms of new and exciting launches for a while, then things started to pick up suddenly—and now not a week goes by without getting a pitch for a hemp- or CBD-infused product. I’m seeing more and more about these offerings in mainstream beauty media now as well (who saw the feature in the last Allure? ), and a subject that was once approached with caution is now being embraced with aplomb. 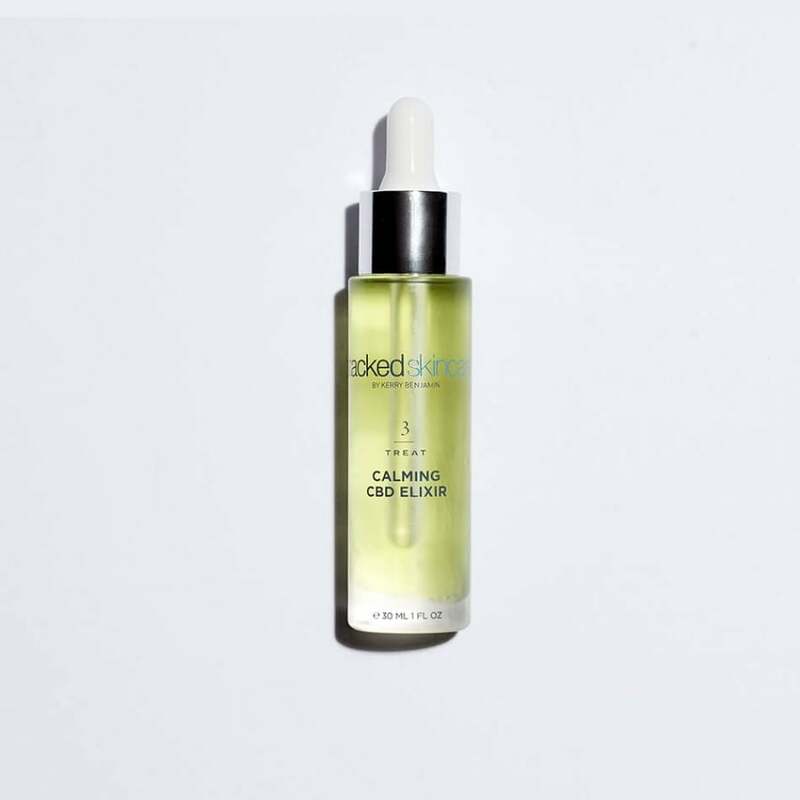 The latest launch to come across my desk was Stacked Skincare’s Calming CBD Elixir—and I totally want it. For the record, CBD is not the cannabis compound that makes you high (that would be THC). But CBD has lots of other amazing benefits to offer, like a high concentration of antioxidants plus anti-inflammatory, barrier-strengthening and healing properties. Stacked Skincare’s foray into the CBD segment features 99.6 pure CBD—and a liposome delivery system that helps get it into the skin. With a hempseed and rosehip oil base, your skin also gets treated to nourishing omega fatty acids, skin-brightening and a dose of hydration as well. (And it’s suitable for all skin types, including sensitive and acne-prone.) Beyond a chilled-out complexion, Stacked Skincare says their oil can help with headaches and sleep as well—talk about a multi-tasker! So what do you think about CBD skincare? Are you in or out?